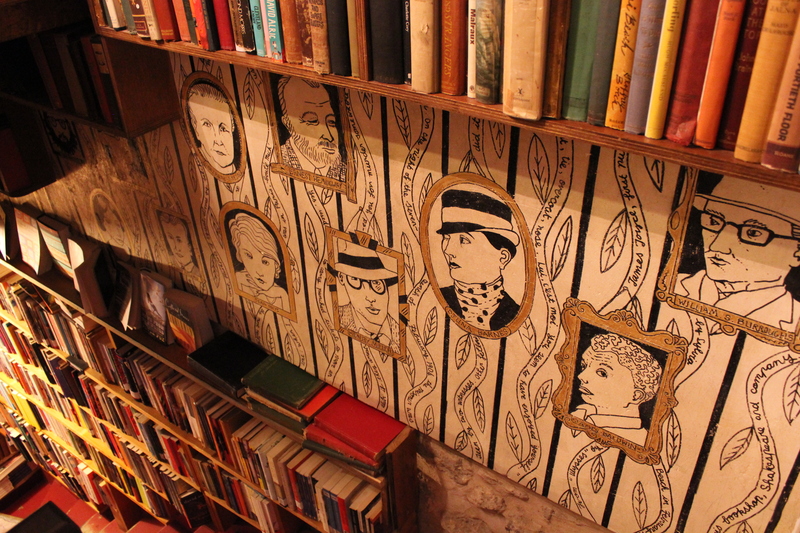 The original Shakespeare and Company was opened by an American, Sylvia Beach in 1919 and was frequented by many literary artists of the “Lost Generation”, including Ezra Pound, Gertrude Stein and F. Scott Fitzgerald. The bookstore doubled (or tripled) as a library, publisher, and even a home for many aspiring writers of that generation. 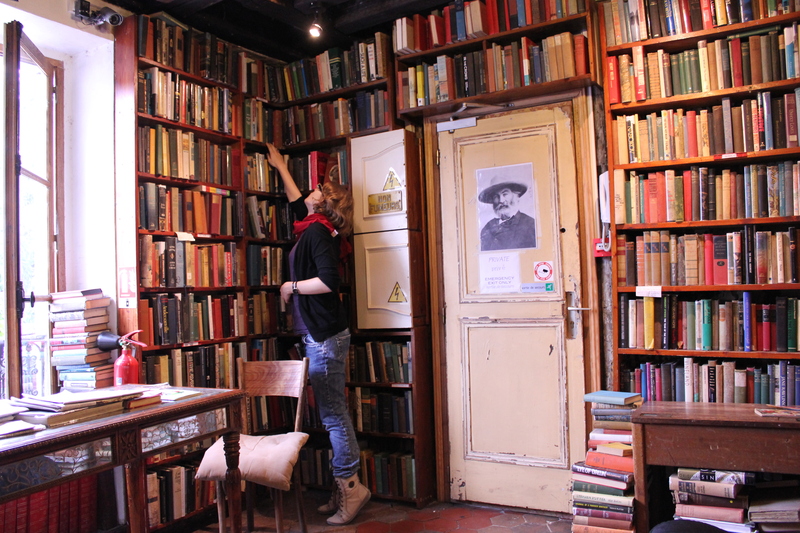 Shakespeare and Company was also where James Joyce’s Ulysses was published and distributed from, since it was initially banned in the United States. 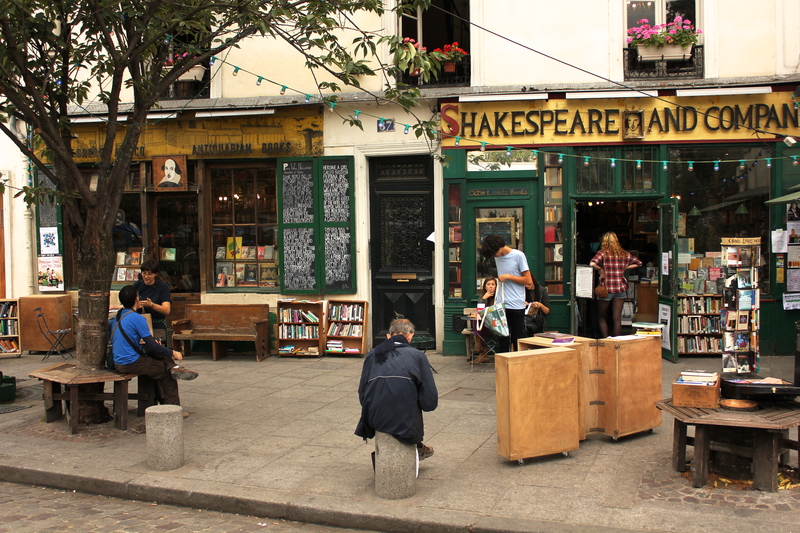 Unfortunately, the original Shakespeare and Company closed down during the Second World War and never re-opened. The current bookstore sitting on Paris’ Left Bank was opened by George Whitman in 1951 and was originally named “Le Mistral”. It was re-named in 1964 to pay tribute to Sylvia Beach’s bookstore. Whitman ran the store the same way as Beach did, allowing artists to live, eat and sleep in the store. 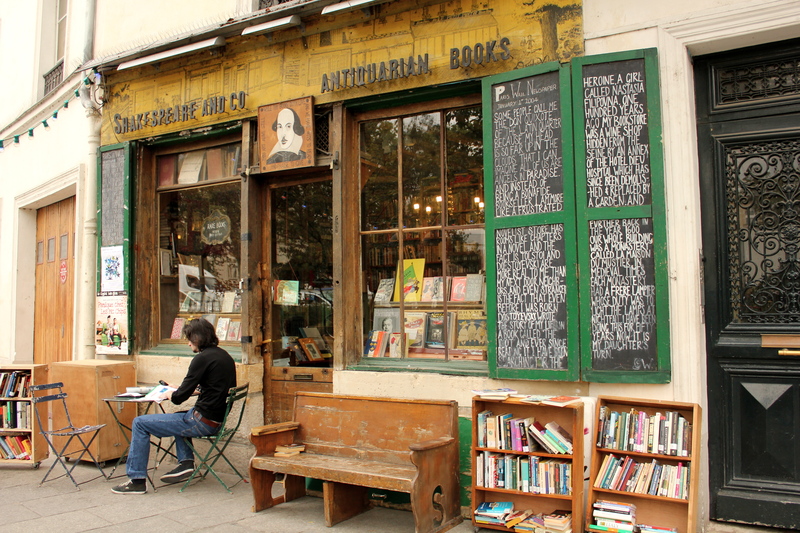 By this time, Shakespeare and Company was frequented by artists of the “Beat Generation”, such as William S. Burroughs and Allen Ginsberg. Today, the store is run by George Whitman’s daughter, Sylvia Beach Whitman. 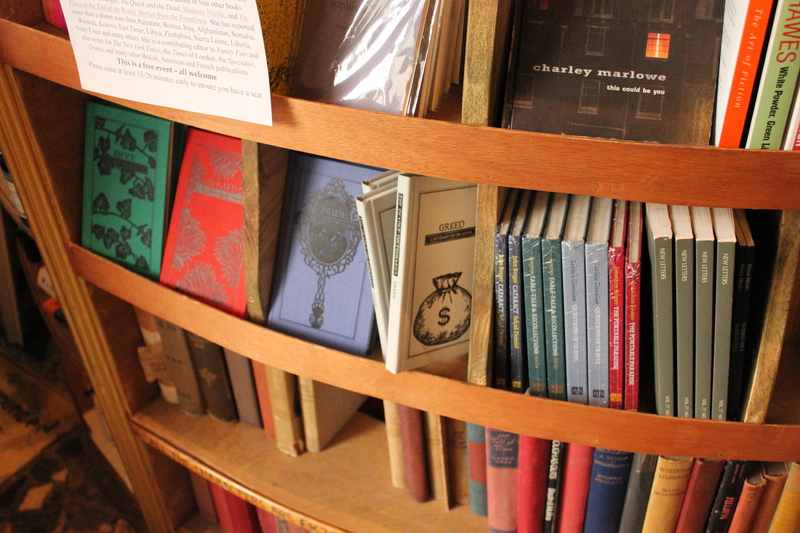 The bookstore hosts poetry readings and other events and workshops on a regular basis. Information for them can be found on their website. 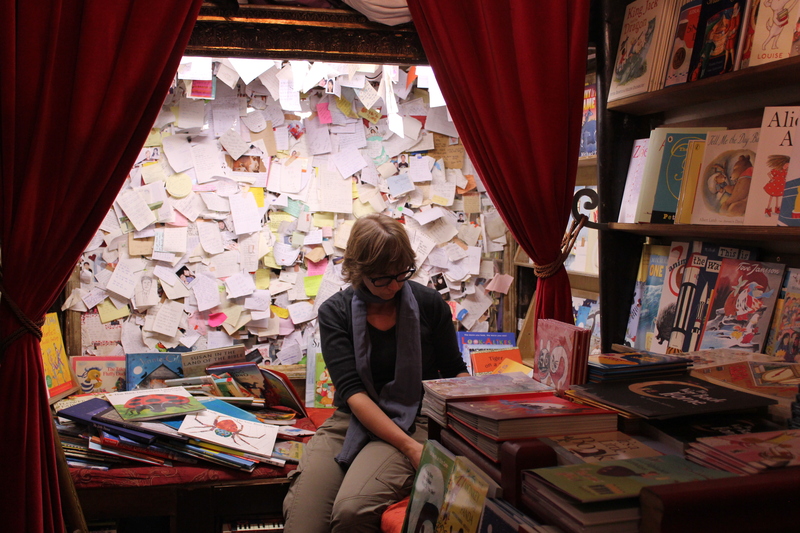 Shakespeare and Company is more than a just bookstore. On the second floor, there is a lending library, where customers are encouraged to browse and read a chapter or two of a book before deciding on whether to buy it. 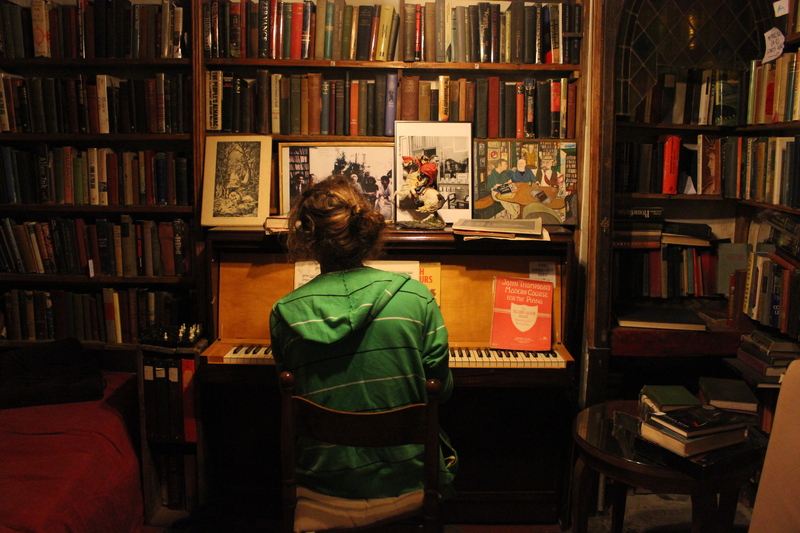 There is also a piano, where one can practice (or compose) a piece of music. 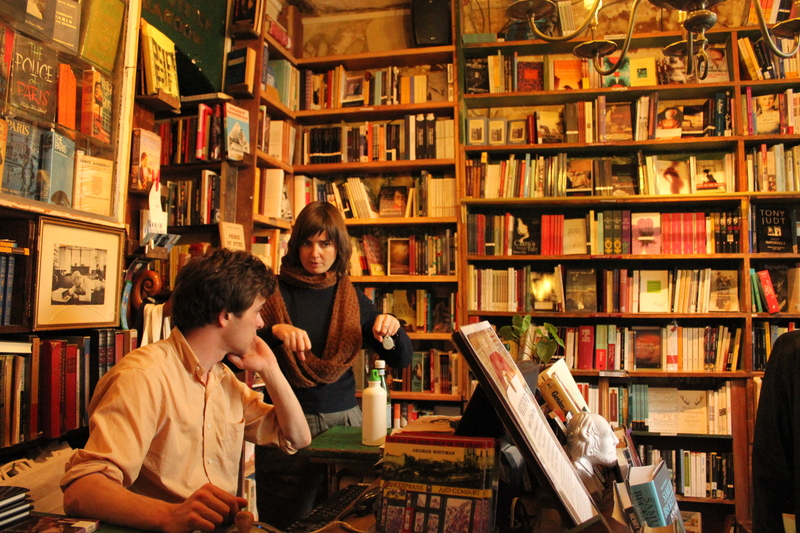 I love Shakespeare and Company because, unlike some other bookstores, you do not feel pressured to buy anything or leave in a hurry. 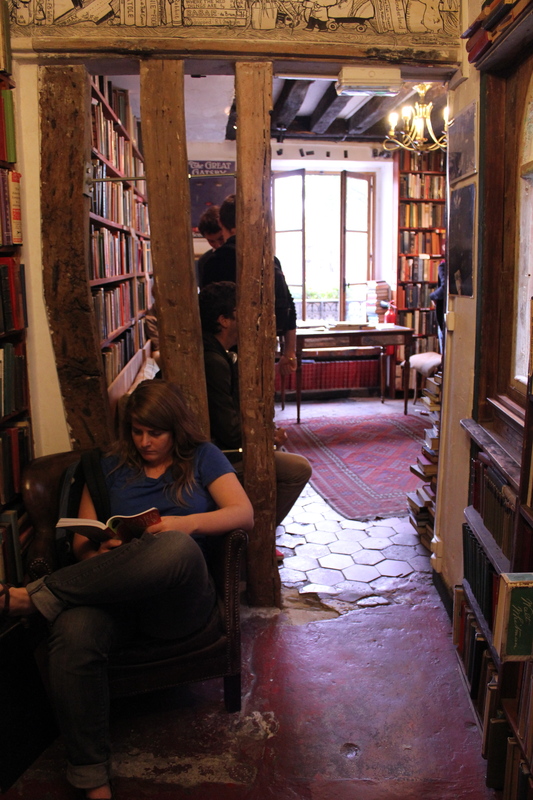 You can take as much time as you want, and spend as much time as you need in this literary heaven. 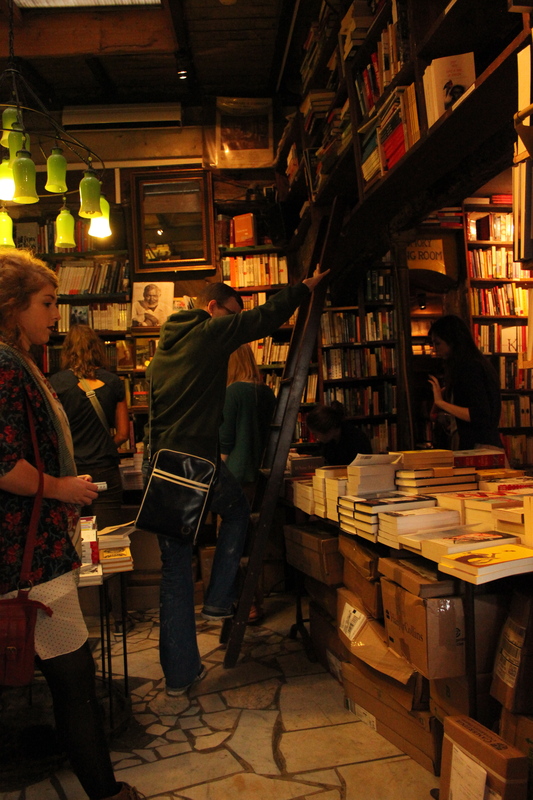 I left Shakespeare and Company that afternoon with 3 new books in hand. A second hand copy of Jean-Paul Sartre’s Nausea, Hemingway’s The Old Man and The Sea, and Fitzgerald’s The Beautiful and The Damned. Oh, and a pretty green Shakespeare and Company shopper as well. 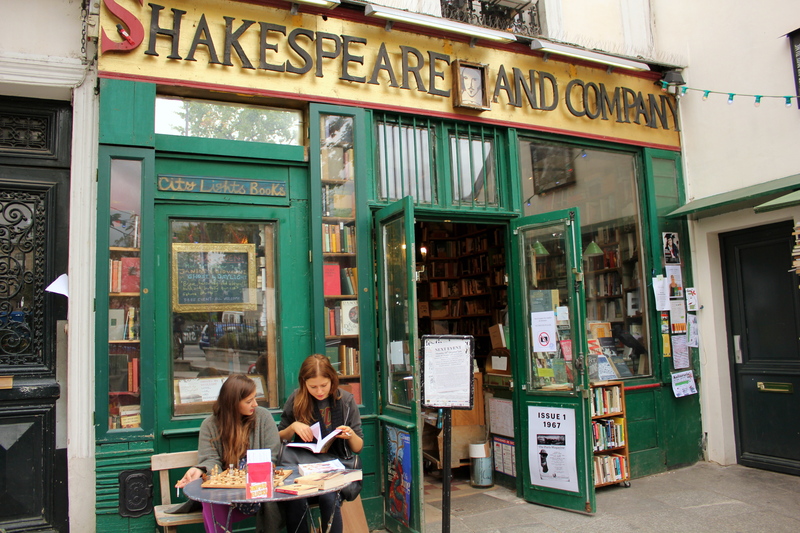 Don’t forget to stamp your book with the Shakespeare and Company stamp at the counter, as a reminder of the time you spent at this lovely bookstore!